PLYMOUTH Argyle Ladies’ all-action midfielder Becky Dandridge will miss the rest of the season after breaking a bone in her foot. Dandridge was taken to hospital after last week’s National Southern Premier Division match against her former club Oxford United. She suffered a hefty challenge in that game and X-rays later revealed she had broken a bone. She has been a vital player for the Greens this season and has suffered her fair share of heavy challenges. Dandridge will have to watch on Sunday as the Pilgrims play Milton Keynes at Bovey Tracy (2pm). 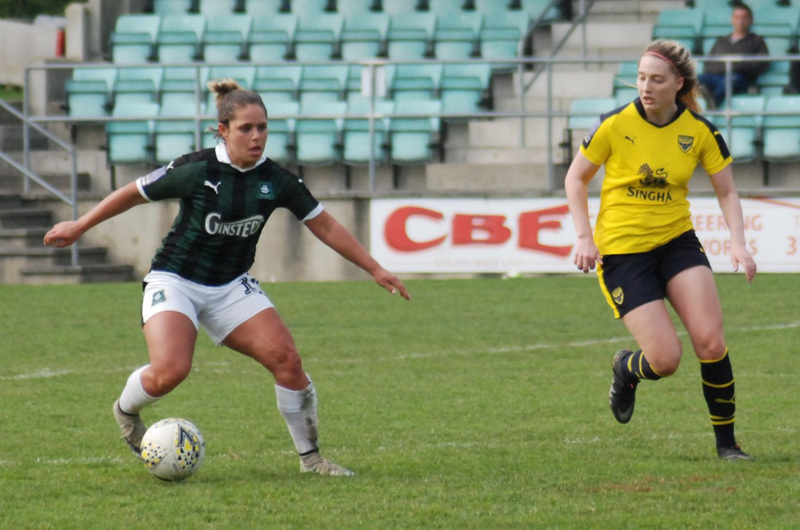 Argyle will also be without Greece under-20 international Panagiota Papaioannou, who is away, but they are able to include Helen Bleazard and Darcey Hepworth in their squad again after they came through training on Wednesday. Development team players Nicola Champion and Kelly Vinnicombe also keep their place in the squad. Argyle are in a rich vein of form having lost just one of their last seven matches and are on track for a top half finish to the season. The Pilgrims started the season with a 4-3 win at Milton Keynes in the league which was followed a few weeks later when they beat them again 4-2 in the National League Cup, a match where striker Natasha Knapman had to go off with an injury that was to keep her out for four months. Knapman, who scored all four goals in the league game against Milton Keynes, made her first start last weekend since the injury. This weekend will mark Argyle’s 100th game in the FAWPL/FAWNL since the reformation of the leagues at the beginning of the 2014-15 season. Of the 99 they have so far played they have won 48, drawn 13, 38, scored 287 goals and conceded 220.